I know the traditional way to do this is to wait until closer to the release date of the book, before you show off the cover. … but I don’t want to. It’s just too pretty. 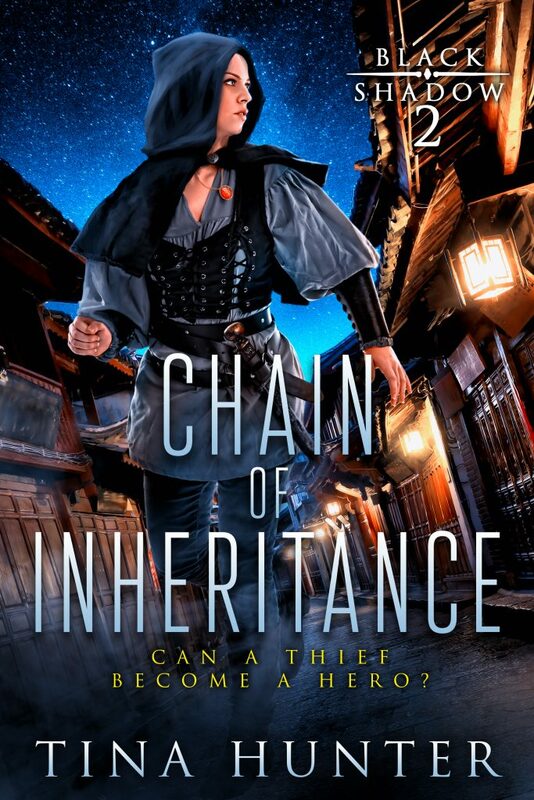 So allow me to present the cover for book two in the Black Shadow series, Chain of Inheritance! I know right?! Lynn running through the dark alley’s of Iridan city. Is she running from something? to something? And what is that pretty red necklace all about? So here is the blurb that will end up on the back cover (pending minor tweaks). 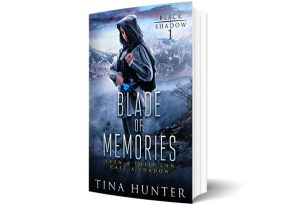 Can the Black Shadow keep a powerful magic from falling into the wrong hands before she loses the first person she has come to trust since her parent’s death? Lynn finds herself trapped in the city of Iridan dealing with the backlash of what happened during the heist. With both her Uncle and Darkan out for revenge, she has to lay low and come to terms with her new reality. But when Dorothy is kidnapped Lynn must reassess her priorities and find a way to save her friend before she is handed over to Aguara as the one responsible for the crystal heist. It’s a race against time to save the girl and find out who Lynn really is. I’m not finished writing this one yet but like I said it was too pretty not to share. Plus, some people are very impatient (no mom, I didn’t mean you. I meant me). So what do you think of the next cover in the series? Let me know in the comments below.